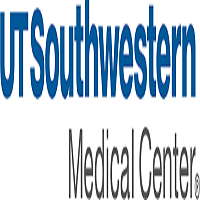 The University of Texas Southwestern Medical Center are accepting applications for the position of Assistant Professor, Tenure-Accruing/Tenure Track, Nontenured, in the Center for the Genetics of Host Defense. This individual will have a broad understanding and will have made striking achievements, in the area of immunity/host defense. He or she will perform research within the framework of a highly collaborative Center for Genetics of Host Defense. We are seeking individuals with expertise in immunology, biochemistry, cell biology, and/or structural biology. Applicants with expertise in immunology and mouse genetics are preferred. Investigators will be expected to secure independent funding to support their research, and at the same time, to devote themselves to the goals of the Center as a whole. Appointment rank will be commensurate with academic accomplishments and experience. Successful applicants must have a Ph.D. and at least three years of research experience.